There's trouble in toy land. Mattel (MAT), the largest company in the toy industry, reported a sharp drop in sales and earnings during the second quarter. Shares were down 6% on Thursday. Its traditional toys -- iconic brands like Barbie -- aren't resonating as much in the digital age. Sales fell for most of Mattel's leading brands, including a 15% drop for Barbie. Fisher-Price, which makes toys for infants and toddlers, had a 17% sales drop. Barbie was partially impacted by people buying Frozen dolls instead. Earnings fell to 8 cents per share, down from 20 cents in the same period last year. Mattel said earnings were hurt by costs associated with the acquisition of MEGA Brands, which it bought in February for $460 million. One of the few bright spots for Mattel was the line of American Girl dolls. The company also continues to see strength in sales of toys linked to Disney's Frozen franchise. But the company is facing a number of long-term headwinds. Bryan Stockton, chief executive at Mattel, said the company is making progress on a number of initiatives aimed at boosting sales in the "all-important back half of the year." Toy makers, like most retailers, earn the bulk of their profits in the holiday period. Mattel plans to ramp up advertising as it tries to regain momentum heading into 2015. Thomas the tank engine to the rescue? 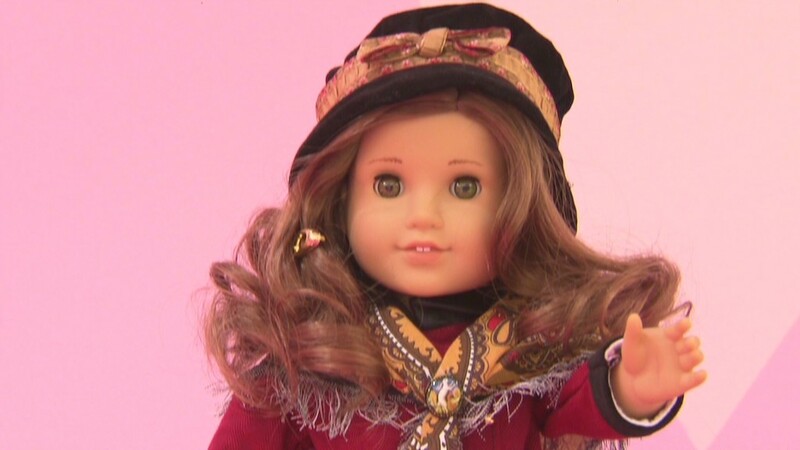 Looking ahead, Stockton said Mattel plans to bring back its "historic line" of American Girl dolls, including "our beloved Samantha," one of the original dolls. In addition, the company plans to open specialty stores around the "Thomas & Friends" line of toy trains. Mattel is also excited about the upcoming Star Wars movie, given the licensing agreement it has with Hot Wheels. Stockton said the global toy business is "doing well," citing growth of between 3% and 4%. International markets are the "number one growth opportunity" for Mattel, he added. Mattel has been shaking up its management team this year as it looks for ways to compete with digital toys. In May, it named Richard Dickson as chief brands officer. "This validates our belief that innovation will drive growth, and that toy and digital play both share time in a child's life," he said.